Ashley has had a love for the Friesian horse since the age of five when she saw the perfect "Black Beauty" in a horse breeds book. Since then, she always kept searching for a means to have one of these magnificent horses. 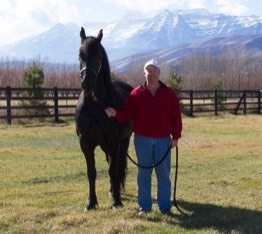 Her dream came true in 1990 when she brought the first Friesian into the state of Utah. Since then, she has had the privilege of sharing her life with 9 Friesians, 7 of which are still with her today. With her breed knowledge, she has mentored many new Friesian owners, and has helped many people find their dream horse. Tom is the glue that holds everything together - at home and at horse shows. He likes to tell everyone that he is in charge of "holding things", but he is much more capable than that! His unwavering support gives us the freedom to pursue our goals and he is always willing to help out in the barn. The horses all adore him and think him as a horse cookie dispenser. He is also a talented rider in his own right, but prefers the relaxing trails rather than the dressage ring. 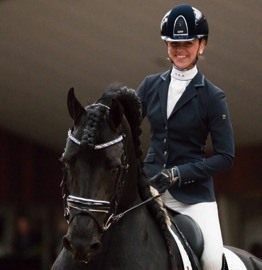 Judith is the premier trainer and rider of Friesians in the Netherlands. In 2018 her horse, Limited Edition, won the coveted Horse of the Year title. She is frequently called upon to ride stallions that are being tested for breeding approval, with nearly all of her mounts being selected due to her incredible skill. She is also a dressage judge and clinician. 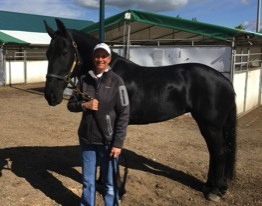 Her positive attitude and amazing insight into the Friesian horse is enabling the breed to excel in the dressage ring and we consider ourselves extremely fortunate to have her working with us. Margo started at a young age with phenomenal success riding jumpers. Once she discovered dressage however, she has never looked back. 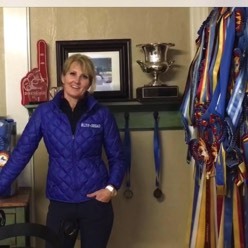 She has taken several horses from green to Grand Prix and has coached many Young Riders to silver and gold medals. She has been blessed to work often with Olympian Debbie McDonald. Her own career contains a long list of so many wins and championships that it would be impossible to list them all. Whether on the back of a horse, working one on one with a student, or coaching from the sidelines, Margo always gives 100%. Alison has an extensive background with animals; from working as a vet tech, to providing obedience training for rescue dogs, to owning, breeding and educating people about hedgehogs. 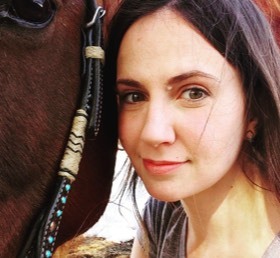 She has taken care of horses since she was a young girl and has three of her own. She has an impeccable attention to detail (which for us is a must! ), and a positive attitude. The horses all adore her and she is truly an asset to our busy barn. Jeff has been our veterinarian for 30 years and we can't say enough about this amazing man! 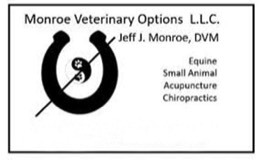 From dealing with the rare and unusual health problems of Friesians, to helping us keep our show horses healthy and happy with acupuncture, laser and chiropractic treatments, he has always been there for us. No matter the time of day or night, Jeff will pick up the phone and help us figure out what is going on and offer sound advice. We are incredibly blessed to have a state-of-the-art vet clinic in our state with some of the finest veterinarians around. 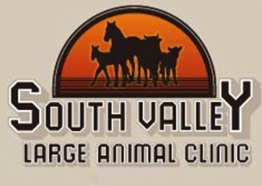 From Dr. Rees' incredible skill with colic cases to Dr. Sieverts' vast knowledge of lameness issues, to Dr. Beck's and Dr. Hammer's considerable insight into internal medicine, to Dr. Heaton's expertise for successful breedings, we have relied on South Valley to help us navigate some of our most concerning issues. We are so thankful for everything they have done for us over the years! "Without a hoof, you have no horse," Old Proverb. Well, we feel that without a good farrier, you will have no hoof and we think ours is the best! Of course, you don't have to take just our word on it. 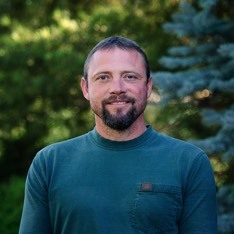 Travis has won numerous competitions throughout Utah, the USA and the world. Over the past multiple years he has become a vital member of the four man American Team helping them to win in several events at the World Championship Blacksmith Competition. In 2019 he has once again been selected for the American Team at the World Horseshoeing Classic. He keeps our horses moving and feeling great with his amazing skills. 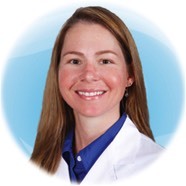 Amy specializes in veterinary ophthalmology in Utah and is one of the very few veterinarians in the United States who has successfully performed surgery on Friesians with corneal dystrophy. Her innovative technique using a small piece of sterilized amniotic sack for a graft has enable her to save the vision of several Friesian horses, including our beloved stallion Ype. We are forever grateful to her for saving his eye and his vision. She comes to check our horses on a regular basis as a few of them have the genetic predisposition for this disease, though none save Ype have ever shown any signs.